Brace yourselives because Season 5 of "El Señor De Los Cielos" has just been announced by Telemundo. 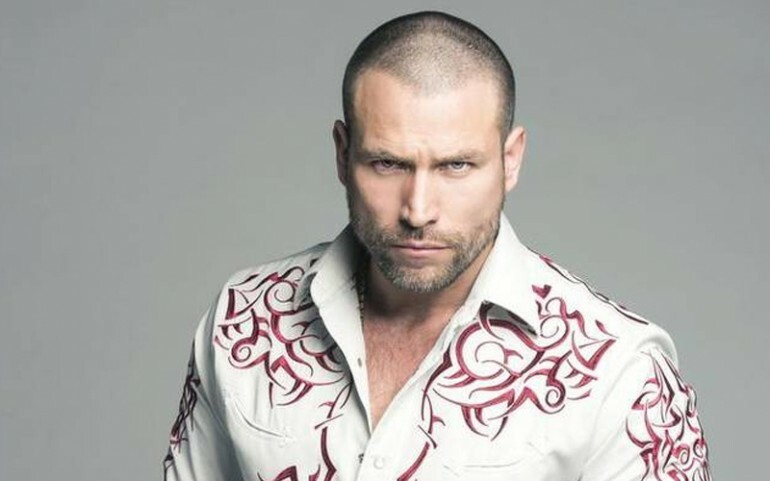 The Spanish-language network will have Rafael Amaya return as Aurelio Casillas for a fifth season of the hit series. Season 4 of the show focused on the looming death of the main character, but it seems like everything will turn out to be ok as we now know the story will continue. Starring Amaya, Fernanda Castillo and Carmen Aub, Season 5 will follow Aurelio Casillas as he unleashes a war in Mexico. This time it will not be against the government, the DEA or other cartels, but against his own family. Season 4 of "El Señor De Los Cielos" is currently airing on Telemundo and it takes place in the year 2012. A new administration is in office in Mexico, but the most powerful criminal in the country’s history is the real force behind the government. Aurelio Casillas, in collaboration with some of the country’s leading political strategists, managed to place one of his puppets in the highest seat in the land. With control over the president, he finally has the power he has always dreamed of. This season, however, it is not the law but rather Aurelio’s own physical limitations that will interfere with his aspirations. He falls ill with a serious kidney condition, and only a transplant can save his life. When none of his close relatives prove compatible as donors, he turns to his long list of romantic conquests, hoping that he might have fathered an illegitimate child who could be his salvation. And so another story begins as El Señor de los Cielos, the boss and owner of all he surveys, searches desperately for a descendant. In the process, he comes face to face with the cruelty and ambition of those who share his DNA. Outside of the world Aurelio appears to have conquered politically, the struggle for control of the drug trafficking business continues between El Señor de los Cielos and his nephew, Víctor. Now openly in a relationship with Mónica Robles, Víctor is working with the Colombian guerrillas, the Venezuelan generals’ Cartel de los Soles and Chema Venegas’s production line in partnership with Feyo Aguilera, Tijeras and El Oficial, a new capo who controls raw material production in Colombia, Ecuador and Peru. Joining them is Dalvio Navarrete, alias the Engineer, an expert in building tunnels across the U.S.-Mexico border. These two groups embark on a fierce battle, much of which takes place in Colombia after Aurelio’s puppet announces the end of the war against the cartels waged by his predecessor, President Morejón. Aurelio has continued laundering money with the aid of his banker girlfriend, Esperanza Salvatierra, and he branches out into other businesses, including oil, gold and uranium, while waiting for the kidney he needs to live a normal life. Just when his medical problems seem close to a solution, a group of honest men and women in several countries launch a campaign against the corruption Aurelio has unleashed across the region at every level of society. Complicating Aurelio’s love life, in addition to the mothers of the illegitimate offspring he has left scattered around the world, some of whom answer his summons for a potential donor in the hope of rekindling their past relationships, is a new woman who leads him to question his decision to stay with Esperanza. She is Amparo Rojas, the sister of Matilde (the former wife of Chacorta, who has since died). Amparo has come to look after Carlitos, the son of Chacorta and Matilde’s stormy relationship. She is also a critical care nurse and bargains with Aurelio to help him through the transplant process if he will leave her and her nephew alone. In the process, Amparo becomes a sort of guardian angel for Aurelio. As the story unfolds, she will have to decide whether or not to give herself body and soul to the drug kingpin. But just when everything seems to be going Aurelio’s way in both his legal and illegal businesses, when he seems to have triumphed over his political enemies, when he has smoothed over his conflicts with his daughters and is happy in love, a disaster close to home threatens his family stability and forces all of the members of the Casillas clan to choose between Aurelio and Víctor, who is determined to replace his uncle as the greatest criminal in Mexican history.